Graduation day is fast approaching which means many people will be looking for their first jobs right out of college. And those that have been looking for a while just got a fresh-load of competitors with shiny new degrees. Luckily we’ve created a list of tips and tricks to get you into the office of your dreams. Or at least, we’ve compiled a list of things to avoid doing in your job interview. 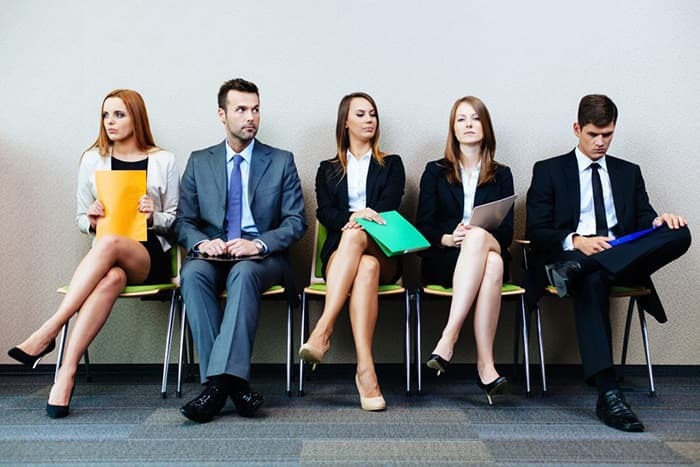 Put your best foot forward in your next interview by avoiding these 12 things. When you’re applying for a new position it doesn’t matter if your last boss made your life hell, don’t bring it up. When the question is asked what you thought of your boss, there are plenty of things to remark on instead of saying you flat-out hated them. Sometimes the interviewer will know one of your co-workers and will ask, “I know Jenni, what was it like working with her?” Even if Jenni came into work and stole your lunch from the company fridge every day, say she was amazing and move the conversation on. Stay away from any negative talk during your interview. Keep the conversation light and friendly. If you say that you hated your former job the interviewer will assume that you will hate this one, too. If you noticed that a big corporate company just popped up selling the same things as the smaller one you’re applying to, don’t bring it up. Instead, keep things more open-ended and ask where they see the company headed into the future. This doesn’t mean that salary won’t come up in an interview, but you should wait until the interviewer brings it up. By being the first to ask about salary or benefits, it can make it seem as if you’re only concerned about money. It is unprofessional and very embarrassing to have your phone buzzing throughout an interview. Don’t even think about taking the call either. Forget silent and just turn the phone off completely. If you don’t want to miss any texts or calls set the phone to “Do Not Disturb.” If you did forget to turn your phone off and it buzzes, hopefully, you’re quick on your feet and you can come up with a reason for the inconvenience. Don’t show up late to a job interview. You should aim to be 15 minutes early. If something does go wrong be sure to call up the potential employer and let them know why you’re running late. If there is an emergency, still call so you can make a plan to reschedule the interview. Some things can’t be helped but calling shows that you take responsibility for yourself even when events are out of your control. It definitely helps to be in town when you start a new job. But sometimes events happen in an order you cannot control. If you’re interviewing and you do have a vacation planned in the next few weeks, don’t say anything about it in the interview. Everything can wait until you’ve been offered the job. After that, you can start talking about fun things like vacation time and start dates. If you’re a human being then you probably get nervous from time to time. But when it comes time to interview you have to put your best foot forward. Calm your nerves before an interview with some simple breathing exercises and remember to be confident in your strengths. Don’t focus on your weaknesses since they will surely come out and overshadow what you are good at. It’s not wise to tell the interviewer straight out that you are nervous. It puts a damper on the entire meeting. The interviewer will immediately begin believing that you are unqualified since you’re not self-assured. If you’re nervous about some of the responsibilities that will be expected of you, there’s no need to talk about them. Focus on selling yourself and the things that you know you are capable of. The interviewer will decide if you are qualified or not, you don’t need to tell them. Also, don’t give the interviewer an easy way to dismiss you. Mentioning that you don’t have a car, but plan to get one soon can only hurt your chances. Leave out the fact that you haven’t figured out who will be caring for your children during the workday. It may seem like you’re being nice by giving them notice, but it is better to wait until you get the job offer. Under no circumstances should you swear at your interviewer or use curse words in passing. If you can’t come up with any other descriptive language, maybe you should grab a dictionary and learn some colorful words that don’t offend. It does happen. If you think that flirting is just a part of your charm then you might want to purposely hold back and make an effort to be a bit more professional. Never under any circumstances comment on the way someone looks, even if you think Megan Fox could be their ugly twin sister. Also, if you do get hired, don’t continue this behavior unless you want to be under fire in the HR office.